You are here: Home > eCommerce Journal > Auctiva Auctiva – Why all the drama? It’s a Mad Mad Mad eBay World! Read on, if you dare - or care either way! Ok, the drama started June 1st when Auctiva sent out an email to anyone and everyone who had ever done business with them. I know this because I received one of those emails and I have not done business with them in like - oh I dunno - 4 years maybe? In any case, it was a sweet hello and by the way, we now have to charge for the services that we have been providing for "free" all these years. Why? you ask? Well, simply because the eBay Partner Network is so screwed up that we no longer generate enough revenue from our affiliate plan to support giving away the software for free. Oh, and we have been cut off, because - well we don't really understand why, with 20% of the eBay sellers using our tools, but our revenue stream just dried all the way up with 30 days notice! (I am paraphrasing). OK - from my point of view - no surprises here... I had always known that Auctiva was simply a huge eBay affiliate and I also knew that the eBay Partner Network has been cutting affiliates to the bone since it was created. This is, in my opinion, one of the many reasons why eBay has less traffic now than they did when Commission Junction was running the affiliate program, a point I have made in the past. So whats the big surprise? Auctiva must make money, they are a business and can not be expected to give away services without compensation, if that compensation does not come from affiliate revenue, it can only come from the user. - No story here - right? Big News - Auctiva - No Longer Free - Aren't all good things in life - FREE? That's it in a nutshell, all good things in life are not free and to expect them to be free, especially in regards to a tool or service used for the advancement and management of an online business... is a myopic and naive point of view. I am so sorry eBay sellers, but to gain access to the very complicated software required to transmit secure information back and forth between your computer and the eBay API you can not expect to not pay one red cent. I know, I had my own eBay management software brand, this is not childsplay - it is labor intensive hard work to keep up with the eBay API. eBay charges you for almost everything that they can get away with and you gladly come back to the trough time and again to contribute, but when a third party software company expects to be paid for making your life easier - Wo Nellie! We are off the Tracks! I understand all of you Auctiva users became spoiled by the free bandwagon all of these years and in exchange for the free nature of the product you put up with some of the major drawbacks of using the Auctiva tools, it was a tradeoff... Free listing tools and management for almost no support and a very clunky program, but hey - you loved the free part. Now you find out that - oh my gawd - Auctiva was making money after all... and even worse than that, they made this money through what? oh please don't tell me, AFFILIATE commissions off of the sale of my products listed on eBay? Oh the horror - How dare they? Get a Grip People! - There is nothing wrong with being an affiliate - without the affiliate program developed under Commission Junction for eBay, the place would never have had as much traffic as all of you so love to quote that it has (or had before CJ got the boot). My experience with using Auctiva has been limited, I checked out the listing tool in the past, did not like it, and moved on. I knew enough back then to realize my business needed a paid solution which had reliable support and which worked more smoothly. (I went with AuctionSound by the way, a software I highly recommend but no longer use). The time saved by using a reliable and well thought out program to automate my selling on eBay, more than paid for the software expense. I will never agree that a free offering could be as efficient as a paid solution. Especially when dealing with eBay listing software. Of course Auctiva has updated the program since my early trial so I can not say how it works now but for my MONEY, trusting my business operations to a FREE software package did not make sense. Thousands of eBay sellers disagreed with my assessment however and happily dipped in the trough at the Auctiva soup kitchen to operate small eBay businesses or hobby selling activities for free (plus eBay fees - always remember the eBay fees). Great, no argument from me, but for those same people to now act as though this "Free" status was somehow an entitlement that would last forever just tends to offend the business person inside of me. 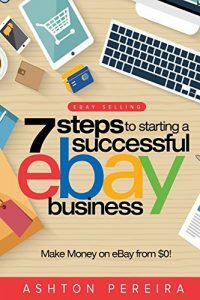 I have no trouble with paying money to help me make money - this is hurdle many eBay sellers need to overcome! This last week has been a maelstrom of attacks upon the management team and CEO of Auctiva. From bloggers and journalists to customers and competitors - it seems everyone felt that Auctiva had somehow ripped them off or personally attacked the eBay world by actually proposing to charge for services. Sure - the fee structure could end up costing a pretty penny but it was not unlike several other paid software plans. Many good quality eBay listing platforms such as InkFrog, Vendio, and MerchantRun-Globallink charge for their services and does anyone in the room think that Channel Advisor or Infopia will offer a free software or eBay listing services any time soon? It is up to the merchant to evaluate the features, service, and workflow of each software package or vendor program, then select the one that fits within their business plan, their user/operator needs and capabilities and the businesses budget. Free should not be the deciding factor! The attacks have been merciless and after a week of soundly being beaten up from all corners of the eBay universe, Auctiva has cried UNCLE! You'd prefer a simple, no-surprises flat-rate pricing structure. You don't want to pay any additional FVFs. 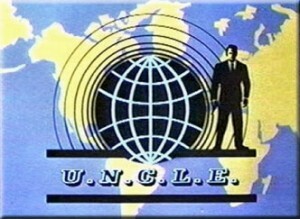 You want image hosting included. If you are asking yourself, "Why didn't they just use this pricing in the beginning?" the answer is that I thought our customers would like to have the choice of picking a tailored plan based on usage. Clearly, I was wrong. I don't know if it was actually wrong Jeff, but it did create quite a hubbub! At least you got Auctiva's name mentioned on the Internet about a bajillion more times than this time last year with your "free" program. (Always looking for the silver lining). More people know about Auctiva today than when the product was free, so seriously ... was this some sort of master PR stunt or marketing plan? I mean, eBay has not upset the masses lately and they have stayed out of the daily news cycle for several months, pretty much licking old wounds, could it be that you learned from the eBay induced turmoil of last year and decided to get a little negative attention flowing your way? Just for Grins and Giggles? Maybe? I think Auctiva sincerely is trying to survive in an ever tightening eBay solutions marketplace and I think the eBay community should cut them some slack. They may have not been one of my favorite software packages in the past, but there is no reason to beat them into submission when times are tough. (Hmmm, I guess this article to too little too late - job done). A lot of people are familiar with the Auctiva system and is it really too much to ask to give them a break? I mean $9.99 a month is a small price to pay, unless you can get it for free. 5 Responses to Auctiva Auctiva – Why all the drama? It’s a Mad Mad Mad eBay World! It wasn’t so much that people were mad that they were charging – they were mad at how MUCH they were charging, and with the complicated plans that made it extremely difficult to figure out how much you would be paying each month. They grossly overestimated what their users were willing to pay, especially with Inkfrog offering all the same services for $10 a month. They woke up though once they saw the mass exodus – $10/mo. is better than $0/mo. I’m happy, no need to shuffle my 650 store listings and learn to use a new provider! I agree with what Mitzi said. Part of the problem is that Auctiva set itself up for this. Years ago when I was considering switching to them but was leery about it, I asked the question “how can you be free”? I was reassured by Auctiva Jeff that they made enough income by selling insurance to cover their operating expenses. Auctiva has never come out and admitted until now that was basically being paid by kickbacks from eBay. If I had known that, I would probably not have used them. As an eBay seller, I know that what eBay giveth today it can and will taketh tomorrow. The problem is that many of us have spent thousands of hours uploading images to their servers and building listings in their software. To now have to redo all of that work to switch to another venue in a 30 day period is what is causing a lot of the upset. And, I know, Inkfrog and Seller Sourcebook have importers now. However, after going through this with Auctiva currently and previously having gone through this with SpareDollar, I’m not jumping onto another rocky boat. I’m hosting my own images and using TurboLister. I have no doubt that eBay is going to throw another curveball at third party listing services, and I don’t want to be the effect of that again. Let me make it perfectly plain, I have no skin in this game. 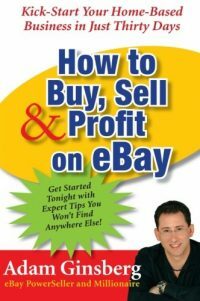 When I left eBay my need for any service provider who is eBay only, was a thing of the past. Auctiva, Inkfrog and all the other service providers who are single channel need to get off their collective butts and diversify as their consumer base is diversifying. Looking back on the last 16 months, the whole Donohoe era of eBay, I do not understand how any business can think that nothing has changed. This is not driving with sunglasses on in the dark, it is driving with a blindfold, beyond shortsighted. In my opinion the problem at Auctiva was not so much that users were being told to pay up. The whole pricing structure was so complicated that I had to spend an entire morning making six spreadsheets to figure the price breaks. When I was done I found there were no bargains at any level. In many cases Auctiva was charging more to help sellers use eBay than eBay charges. Secondly, I am sorry, Auctiva is not Channel Advisor, if they are not providing CA levels of analysis and features and yes advice where have they earned the right to charge listing fees and final value fees? You get what you pay for you say, uh huh, and if you don’t pay attention you might think you are getting a cell phone and find out you bought a picture of a cell phone. Auctiva appears to have had a meeting and said “Look chaps, income is off badly, we need to earn $x a month, how shall we structure our pricing to produce that?” Fortunately they came to their senses, but did they do it in time? Thanks so much for weighing in here! You obviously looked at the now defunct fee plan of Auctiva with more vigor than I and I will defer to your intimate knowledge of the short lived pricing scheme. I will admit that my opinion here is clouded by my personal impressions of the eBay Partner Network and it’s obvious lack of ability to retain the quality affiliates that Commission Junction developed over the glory years of eBay’s growth curve. I won’t go so as to say that EPN is to blame for this fiasco, but they did abandon a long term business relationship with Auctiva and several other affiliate vendors. This was a poor business decision from the perspective of continued growth, possibly a great one if eBay is pinching pennies, which it seems they are. Cutting off the sources of traffic that made your company the largest ecommerce portal on the planet is counter productive. But it has been just one of counter productive decisions made in the last few years. As for Auctiva, I stated in my article that I was never a fan, in fact I found them to be less than worthy of my consideration when I was selecting a listing solutions provider. That may be a strong statement, but it is the truth, as I saw it then and as I would see it now. Auctiva can not provide services for free any longer. And yes, they were/are trying to replace the revenue they lost when EPN closed the flood gates. I suppose the rate structure you mapped out for your readers will give everyone a better idea of just how large that stream of affiliate income was. eBay fooled Auctiva Shame on eBay, Auctiva tried to fool its customer base of free users, shame on eBay? 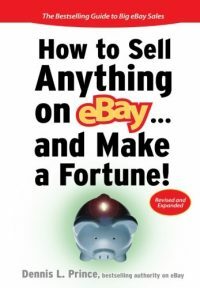 eBay is not Free – Long Live eBay! Auctiva is no Longer Free – Bye Bye Auctiva?